Working as a fitness marketing consultant on Spike TV’s Gym Rescue series has been something of an eye-opener. No, I haven’t been hanging out with cool celebrities and I have decided to change careers. But I have realized that even though I’ve worked with a lot of different business owners in many different situations (both on the show and in my work), almost all of those situations can be traced back to a handful of boot camp marketing mistakes. Even though I’ve addressed all kinds of variations on those mistakes several times and in several different ways, I want to give you my five rules for marketing your business – rules that, if you follow them, will help you to not be one of the struggling entrepreneurs on Gym Rescue. Rule # 1 – Do not try to copy everyone else’s success by being like everyone else. That job is taken. They’re already doing it. If you want to succeed in your fitness business, you have to have the courage to be different, to try things no one else is doing. You can’t be afraid to break the rules when it comes to running your fitness business. 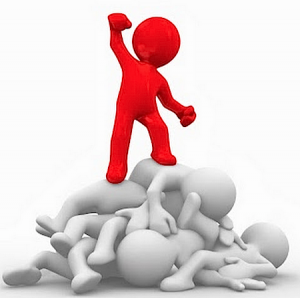 Rule #2 – If you’re not an authority in a specific niche, everybody is your competition. You have to focus on doing one thing and doing it better than anyone else, or helping one group of people and doing it better than anyone else. Then you need to let people know that you are the expert in their area. Subject matter experts not only charge more and get it, but they market less and spend less money doing it. Do you want to compete with every single personal trainer and fitness boot camp in town or do you want to be in a class of one? Rule #3 – Focus on marketing your business, first and foremost. Obviously, giving your clients an awesome experience is your first priority. But on the subject of boot camp marketing and growing your business, marketing needs to be your focus. If you’re spending twelve hours a week ordering office supplies, designing T-shirts and choosing new paint for the walls, that’s twelve hours you are NOT focused on building your business, twelve hours you are NOT making more money. 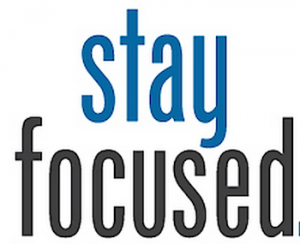 Rule #4 – You must keep your eyes focused on the next level of success. The minute you get comfortable with just getting by, your clients and your income are going to fly out the door. Everyone has a level at which they’re happy and secure. But you should never be satisfied. Always focus on what you can do to take your business to the next level, whether it’s in marketing, client satisfaction, retention or what have you. Rule #5 – Marketing is meaningless without selling. You can spend thousands of dollars and thousands of hours on the greatest boot camp marketing, but if you’re not selling and closing, you’re throwing your money away. Chances are, you’ll keep throwing good money after bad, trying more and more marketing strategies until you’re out of business. Get over your fear of selling. Learn to close. THEN increase your marketing efforts. If you can just keep these five rules in mind, you’ll be way ahead of most of your competitors and you’ll certainly be way ahead of the ones who are going out of business by the end of the year.